I mentioned a couple weeks ago how it is almost a guarantee that Marlon Byrd will be traded. With the Winter Meetings just two days away, it could happen very soon. Before he goes, I think it is important to look back at a player with a pretty remarkable comeback story. When Ruben Amaro signed Marlon Byrd to a two-year contract with a third year option on November 12 last year, the move seemed destined to fail. At the time of the signing, Byrd was just one season removed from a 2012 campaign in which he was hitting just .210 on June 25, the day his season ended when he was busted for PED's. He tested positive for using a drug that contained Tamoxifen, which supposedly masks the use of steroids. Byrd was suspended for 50 games and played the rest of the season in Mexico before signing with the Mets for $700,000 the following season. He subsequently posted an .847 OPS in 2013 and ranked 11th in the NL with 24 home runs combined with the Mets and Pirates. 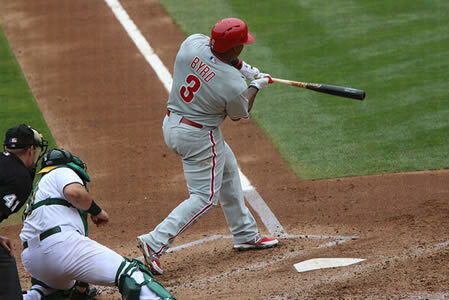 2013 was a breakout season for Byrd, who set career highs in home runs (24), slugging percentage (.511), and OPS (.847). At the age of 36, when players are typically in decline, Byrd was setting career marks. I'm a little behind the times on this story (OK, a lot behind), but I wanted to revisit a story last week with comments from Jay Alou, the agent for Yasmany Tomas. Sometimes the smallest of comments can be the most revealing. Matt Gelb explained in his post how the Phillies did not make an offer to Yasmany Tomas, the Cuban defector the Phillies were once frontrunners to land as a free agent. Now that Jimmy Rollins has been traded, who is next? Is it Cole Hamels? How about Howard? Or Byrd? Or Papelbon? I have a better and perhaps more important question. Was John Middleton present at the Winter Meetings and how active was he? Discover that answer and you can begin to carve out a path for the Phillies future. Phillies Poll Results: Should Phillies trade Cole Hamels? There is something about Ruben Amaro that I like these days. 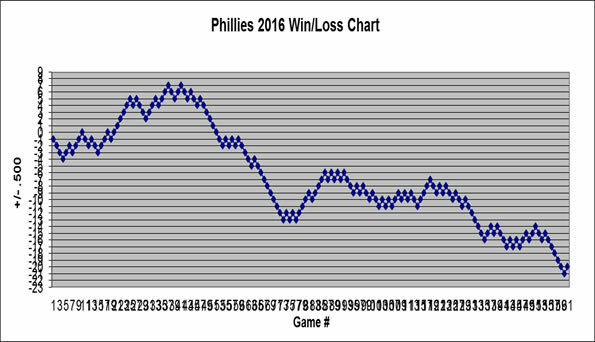 It's hard to pinpoint it but, oh yeah, HE LITERALLY SAID THE PHILLIES ARE BETTER OFF WITHOUT RYAN HOWARD.